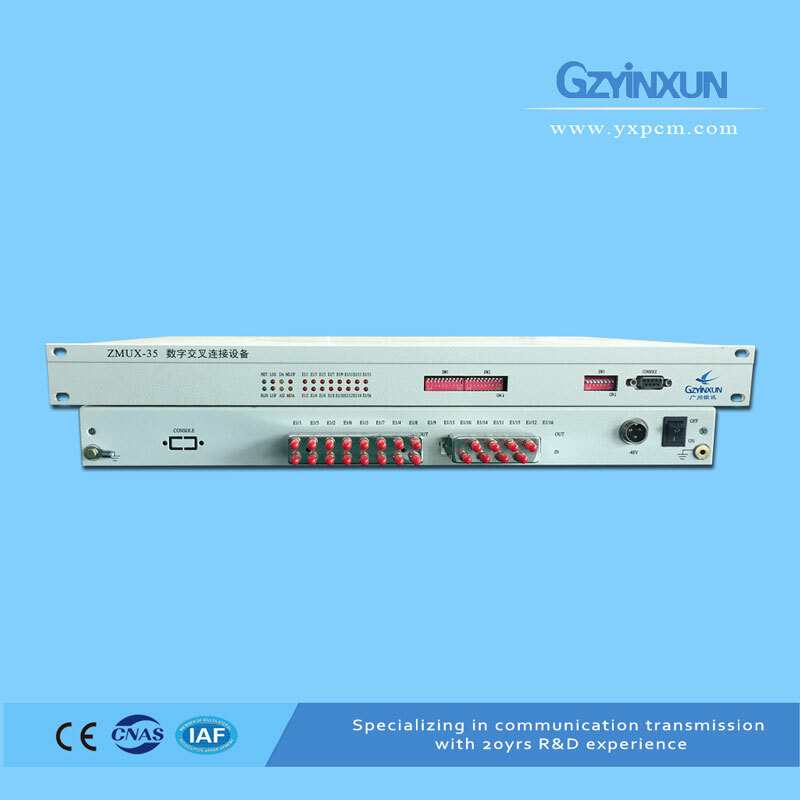 ZMUX-35 Digital Cross Connect System is self-R&D producted by Guangzhou Yinxun Comm.Tech.Co.,ltd. ZMUX-35 design as 19 inch 1U high chassis (mounted on 19 inch cabinet), weight is 4KG, 482.6mm (wide) x 44.45mm (high) *270mm (deep). Optional 8*E1, 12*E1 4*E1, 16*E1. 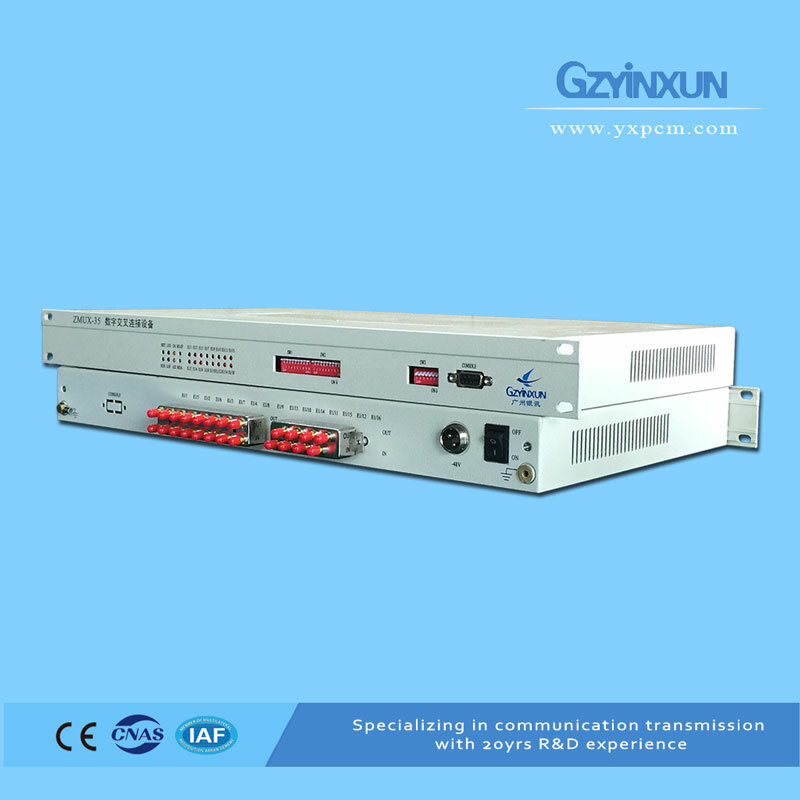 ZMUX-35 can achieve arbitrary E1 arbitrary 64K channel nonblocking crossover connection, with ability about the channel associated signaling (CAS) processing, support synchronous clock line extraction through internal synchronous clock or equipment. Modular design, the motherboard 4 built-in 4*E1 module slots, optional 4*E1, 8*E1, 12*E1, 16*E1. E1 line impedance 7 is 75Ωor120 Ω. The maximum cross capacity is 16 channels E1 full time slot cross. 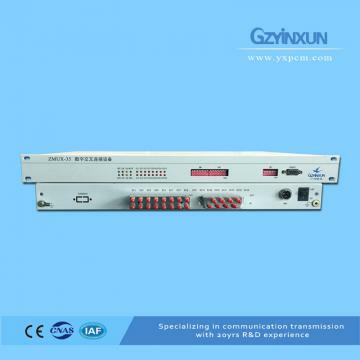 With ability about channel associated signaling (CAS) cross . 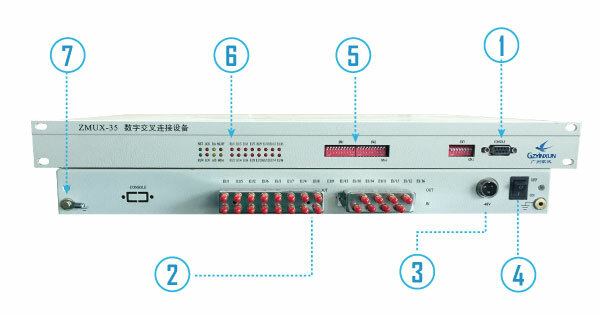 Built-in network management interface (RS232 or RS485 optional). 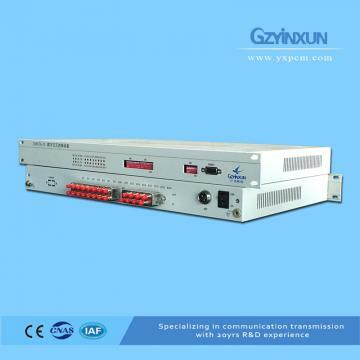 Single power supply, -48VDC or 220VAC optional. 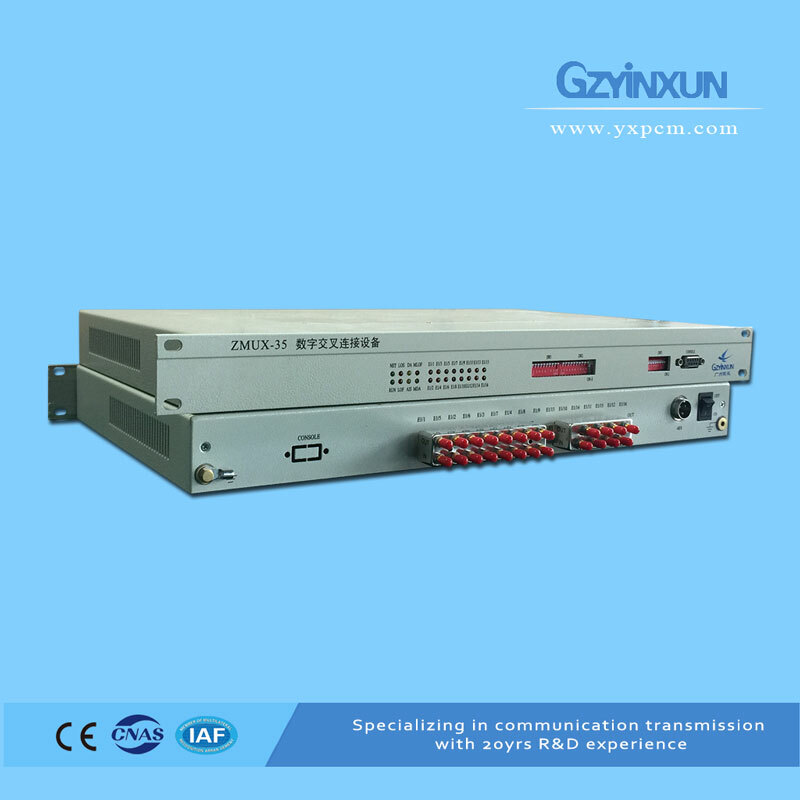 With digital signal processing, signal processing such as the expansion of processing capacity. Applicable to E1 circuit broadcasting or convergent.